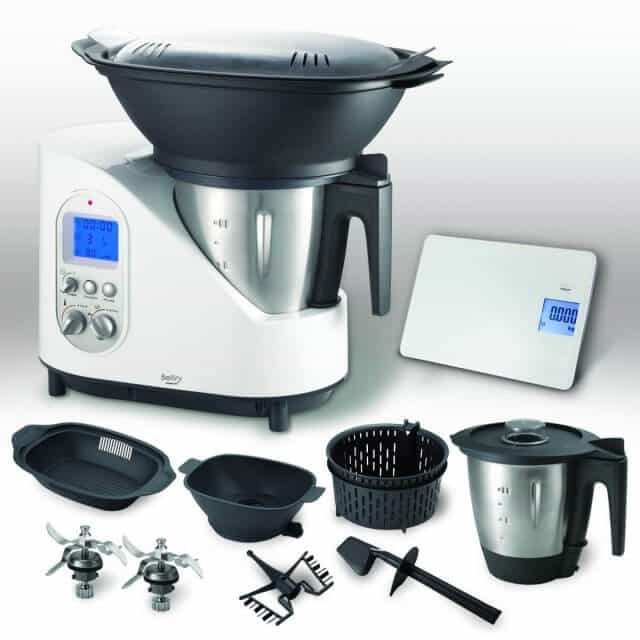 All-in-one cooking machines have always fascinated me, mainly from a product design perspective – how do they fit so many functions in a machine without making the usability too complicated, and how do product engineers interpret the way people cook? 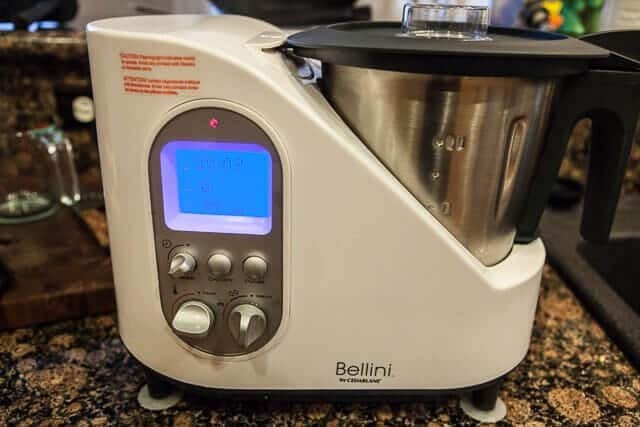 We tested the Bellini Kitchen Master for several days, starting with following a recipe exactly from the included cookbook, then adapting a recipe, and finally trying to create my own original recipe. When the machine arrived, I flipped through the manual, examined the parts, read the included cookbook and then put everything back in the box. It’s intimidating. The manual is in British English and French, with black and white photo illustrations that are too dark and small to see clearly. I watched and re-watched several Kitchen Master videos on YouTube, but just didn’t feel comfortable diving right in. With several Meyer lemons in hand, I headed straight to the recipe booklet. 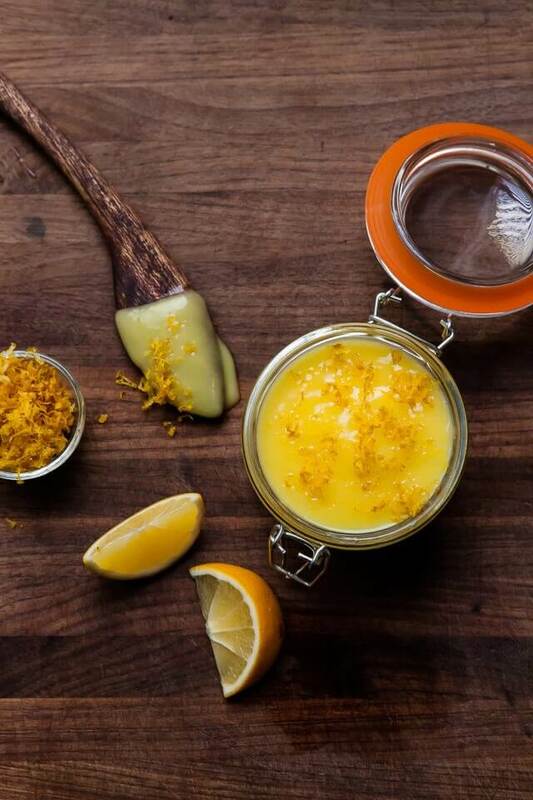 First step easy – grate the lemon peel and squeeze for juice. I got stuck in step 2. The instructions said to insert the “stirring blade.” Which one is the stirring blade and which one is the chopping blade? They look almost exactly the same. They aren’t labeled and there are no distinguishing markings. The manual didn’t answer that question – there’s a small tiny illustration of the stirring blade, and then a smaller, tinier dark photo of the chopping blade. They look exactly the same. Further in the manual, there is another illustration, but you still can’t tell which is what. Then I read that the chopping blade was sharp. The stirring blade was dull. The only way to figure it out? Run your finger along the edge to feel if it’s sharp. Not very user friendly. After inserting the blade, I got stuck again in the the third sentence of Step 2: “Cook at 80 C for 2 minutes.” I figured out how to set the timer and how to set the temperature – but the machine just would NOT OPERATE! I must have set, re-set the time and temperature 20 times, thinking I was doing something wrong. I followed the manual to check, double check that the stirring blade was properly inserted, the bowl was properly seated, the lid properly on, the temperature properly set, the timing properly set. Well, it turns out, after an hour of fiddling – the recipe is incomplete. 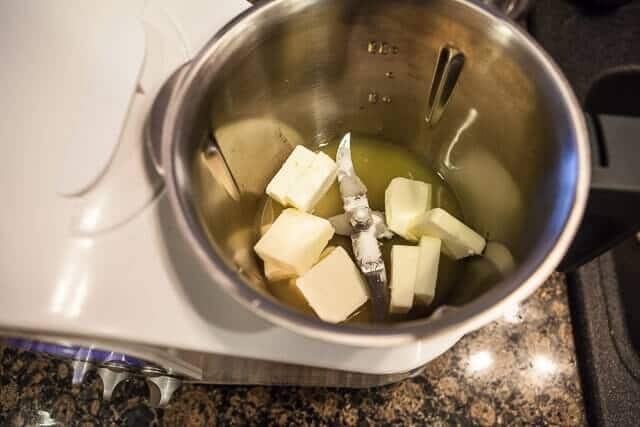 On page 12 of the manual, “The cooking function will only work with the speed level for mixing of 1, 2 or 3 is programmed in addition to the temperature and time.” Translation: you have set a mixing speed in order to cook. This was not in the printed recipe. Once I got over that hurdle, the rest was actually really simple. Add in the butter and eggs, cook 80 C on speed 2 for 15 minutes. Easy peasy. 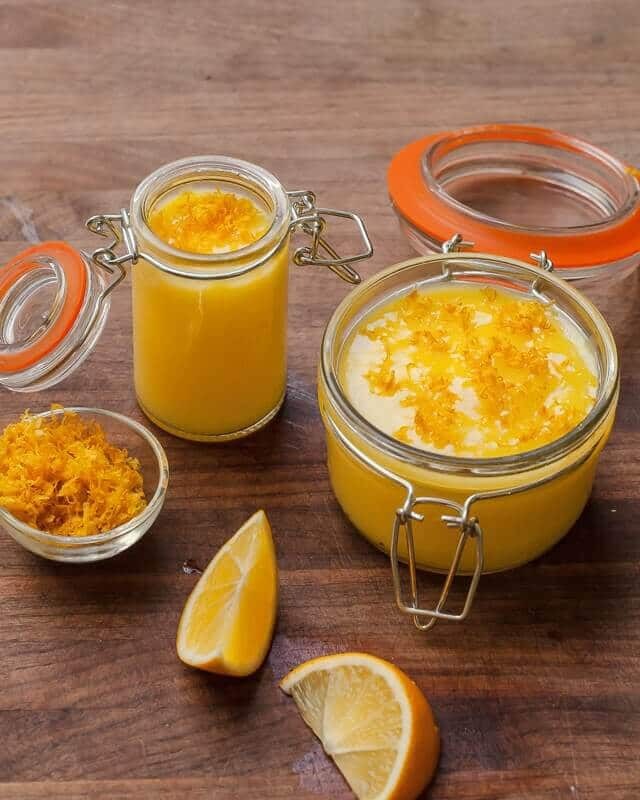 Perfect, stunning lemon curd. 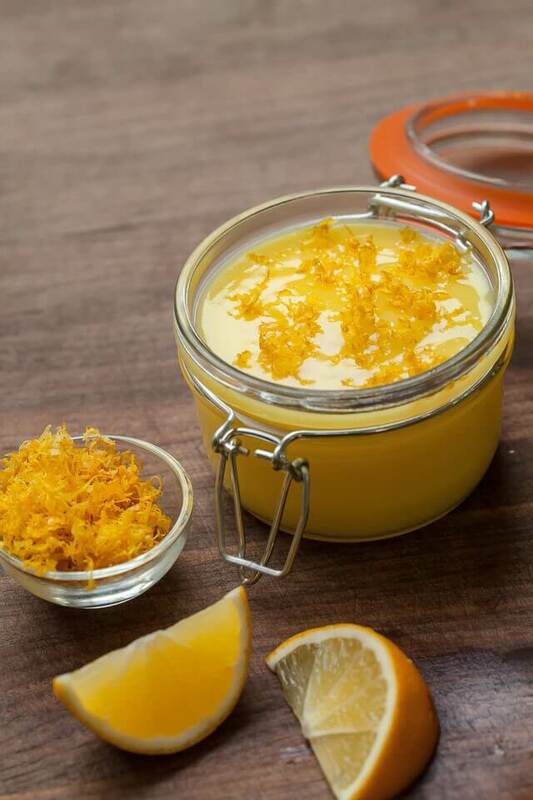 Lovely, tangy-sweet Lemon Curd. No lumps, no overcooked egg, just perfectly smooth. And left one jar for the table – to spread on sweet waffle crackers. Our next test was Risotto with Bacon and Kale. We followed the “Basic Risotto” recipe and modified it to see how easily we could riff off a basic recipe from the cookbook. It was pretty simple, once we began converting fahrenheit to celcius (future version of machine will have ability to switch between F and C settings). 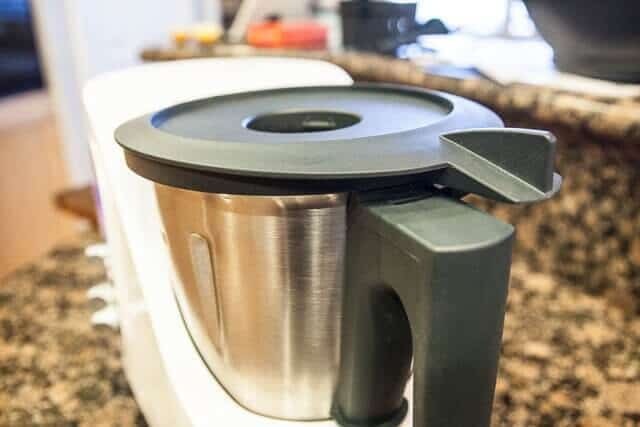 Because the ingredients had different cooking times, you’re constantly stopping motor, opening lid, scraping down sides, closing lid, locking lid, and re-starting the machine with 1. time 2. stirring speed 3. temperature. Once all the ingredients were cooked (the bacon, shallots and kale) and rice/liquid was added, the rest of the work was done by the machine. The risotto came out great – everything was perfectly cooked. But, we weren’t quite ready to eat yet, so I let the risotto sit for another 10 minutes while we finished up the other dish. I wish the machine had a “keep warm function” that allowed it to run WITHOUT having to use the stirring blade. You can set the temperature to low (so that you’re not over cooking the risotto), but the blade has to run, which made the rice a little goopy and too mushy. The only solution would have been to dish out the risotto and warm it up in the microwave. Our last test was my homemade Alfredo Sauce with Steamed Asparagus. The Alfredo Sauce was so easy to make, everything gets chopped then cooked in the work bowl. The asparagus steamed on top at the same time. The manual and recipe book are confusing – some misspellings, poor grammar and awkward sentences. Both books are in need of an editor. I had to read many sentences 2-3 times before understanding completely. I think this is what makes the machine so intimidating. 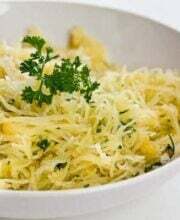 Watch the recipe videos on Bellini’s website along with reading the recipe. 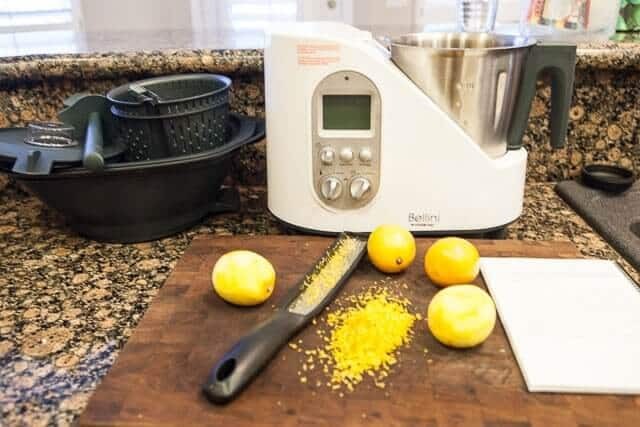 This is a great appliance for cooking dishes that normally take focused, hands-on time, like risotto, lemon curd, sauces, French onion soup. You’ll get spectacular results, hands-off. 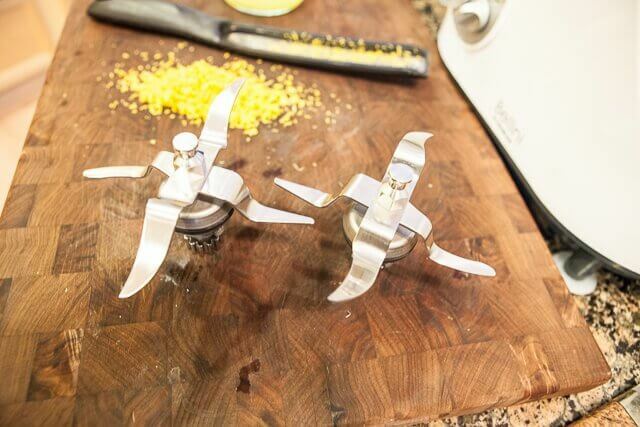 If you don’t enjoy chopping or mincing, you’ll love the Kitchen Master. No mess, one bowl, no onion tears. 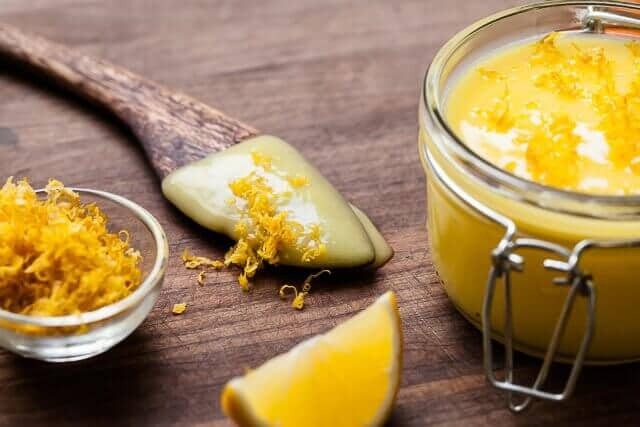 I found a goldmine of recipes on Eat Live Travel Write blog. I’m not sure how well these recipes are tested, they are a collection of recipes from Bellini fans. But it’s a great start to get ideas. Once you get used to the Kitchen Master, and create a few of the recipes, the machine does get really easy to use. But it’s that intimidating learning curve that might keep you away. Follow the advice of the kind Kitchen Master rep that helped me – pick a recipe (especially one with a follow-along video) and just do it! The parts of the machine is very well made. The work bowl is strong, solid and not too heavy. The steamer baskets are sturdy, thick. The stirring blade and chopping blade are heavy duty and of great quality. I’m excited to experiment more with this machine! I think I’ll use it most for sauces, smoothies, and quick weeknight meals when I’m in a hurry and don’t want to do many dishes. I was really impressed with the blending and chopping. It’s great for large batches and can handle whatever I need to chop – hard carrots were a piece of cake. 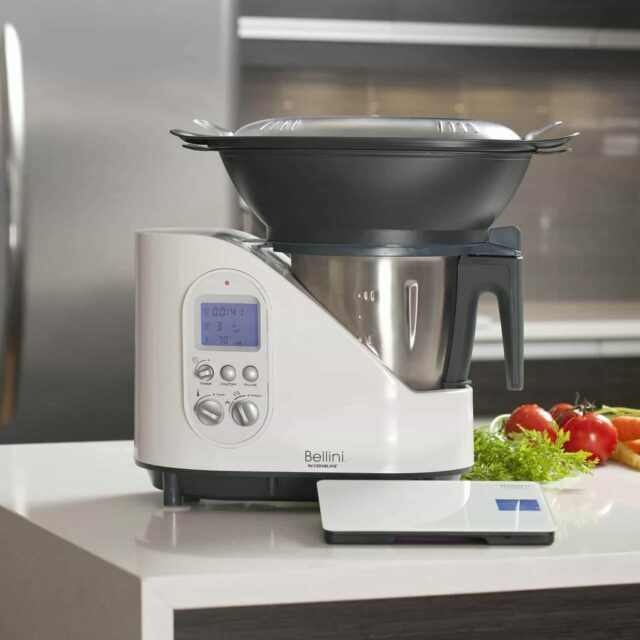 We’ve been using the Bellini Kitchen Master for over 3 months now, and absolutely love it. After 6 batches of lemon curd, a big batch of strawberry jam, more risotto and homemade Sriracha (I’ll post recipe soon), it’s a keeper. I love how easy it is to clean with the removable blade. 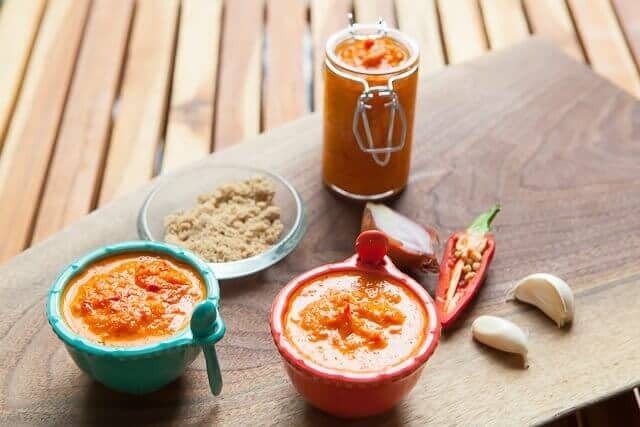 I was able to whip up homemade Asian spicy chile sauce – with just a handful of ingredients. 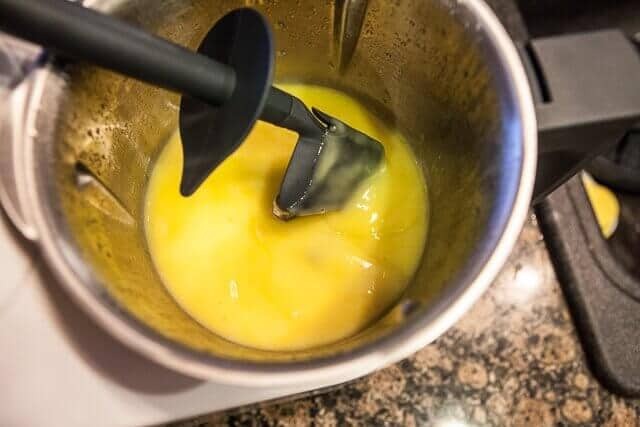 Using the Bellini Kitchen Master meant only one pot to clean and no mess at all. Cedarlane provided me with a unit for an honest review and one for a giveaway.